Give fragile blonde hair the moisture and strength it needs every day, while subtly brightening blonde and highlighted hues. • Rich conditioners, including macadamia nut oil and Safflower oleosomes, deliver hydration right into the hair shaft for improved elasticity, softness and shine. • KerActive protein hugs every strand to protect, smooth and help repair damage. Apply to wet hair and distribute evenly through the lengths. Leave on for a couple of minutes, then rinse. 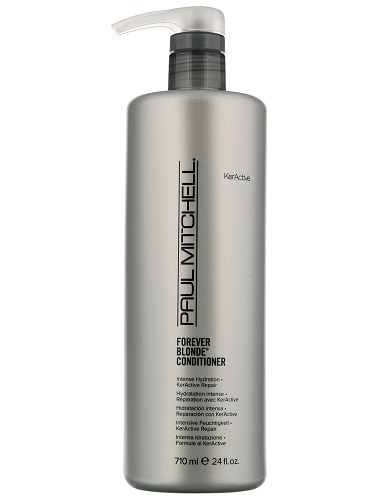 For best results, use after Paul Mitchell Forever Blonde Shampoo.